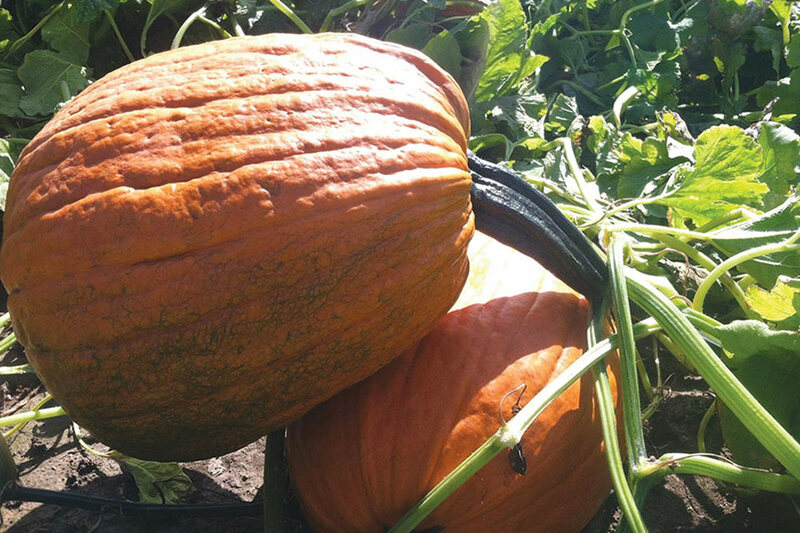 Apogee F1 pumpkin is possibly the largest-fruited powdery-mildew-resistant hybrid on the market today. Its extra-large fruit has rough-textured ribbing, a dark-orange color, and long, thick-black handles. It has excellent potential for multiple marketable fruit per plant. The fruit weighs 40 to 60 pounds, and plants have large vines. Average maturity is 95 days. Available from Outstanding Seed Co.
Browse this slideshow for more details on 23 pumpkin varieties you need to know about from the nation’s leading seed breeders and distributors. Although not a bad looking pumpkin the disease package is really suspect, Several have stem issues from powdery mildew, in particular the one in the lower right. Within a couple weeks at best the stem will be like a dried up pig tail/ unmarketable.